Wilberforce is the school for families who want academic excellence joined with spiritual formation. Like you, we realize that a child's intellectual, social, and spiritual formation happen together - at school, on the playground, at home and church- 24/7. Before they graduate, children spend 16,000 hours at school. These hours are influential in their formation. Their teachers, coaches, classmates, and curricula have an enormous influence not only on what they learn but on who they become - their habits, aspirations, answers to life's most important questions, their ways of interacting with peers and adults. Wilberforce is a community gathered for the purpose of being intentional about how we steward these formative years. "Education is not a subject, and it does not deal in subjects. It is instead a transfer of a way of life." We take special care to integrate the best academic training with deliberate grounding in historic Christian faith and practice. 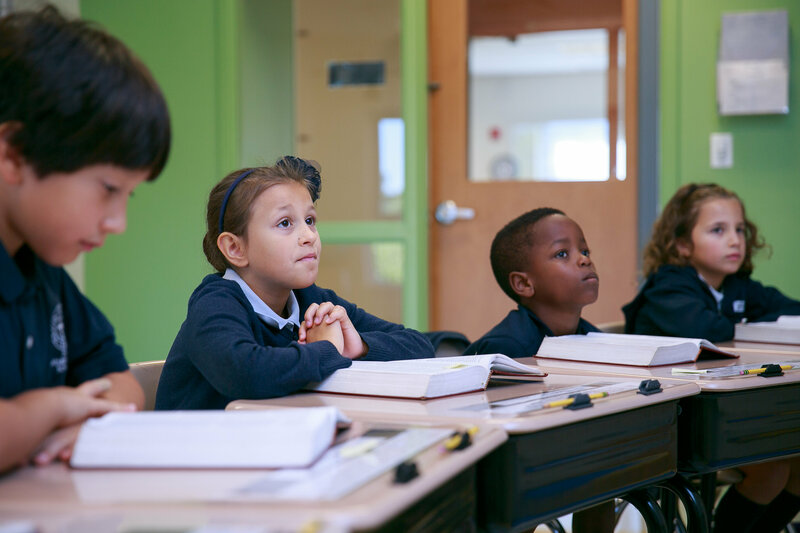 Our curriculum is delivered by Christian faculty who invite students to join them in applying faith to life and learning. The fruit is joy, community, and genuine relationships centered around a mutual desire to honor God with our lives. 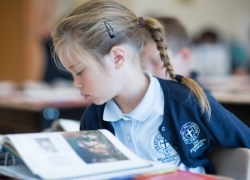 Our small class sizes and accelerated curriculum have also achieved extraordinary academic results. Our K-8 students average in the mid-90th percentile in standardized testing. Our average SAT score is 1361, the highest of any school in the Princeton area. These test scores attest to high academics achievement. The secret to our approach is joyful engagement with rich, time-tested material, and a focus on multiple modes of performance - writing, speaking, debating, and problem-solving rather than the "cram and test" approach that so many schools in this area embrace. 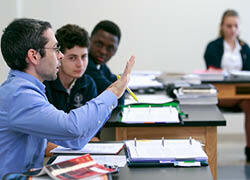 Small class sizes, outstanding academic results. 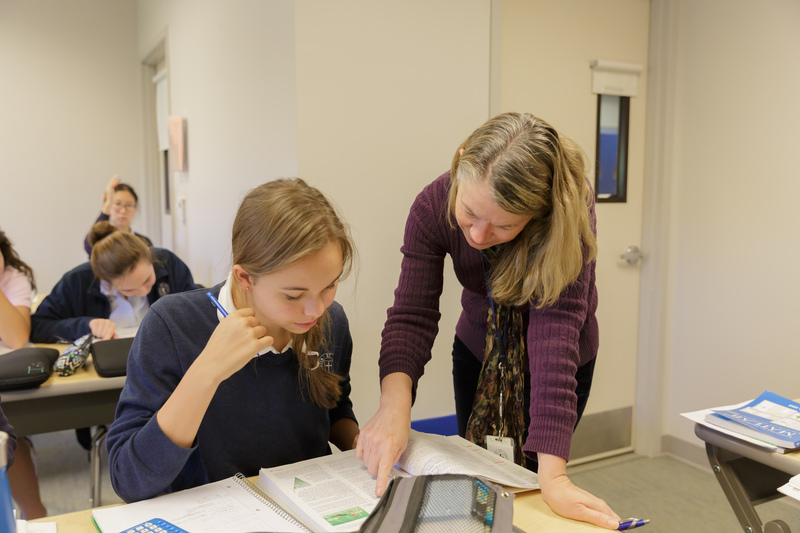 Our small class sizes mean that students are known by their teachers. Teachers know their student's strengths and weaknesses. Small class sizes enable individual instruction for each student. No one is lost. Teachers speak into social dynamics to help build healthy relationships among classmates. Our faculty are able to write compelling, personal recommendations because they know their students well; which contributes to our distinguished college acceptance record. 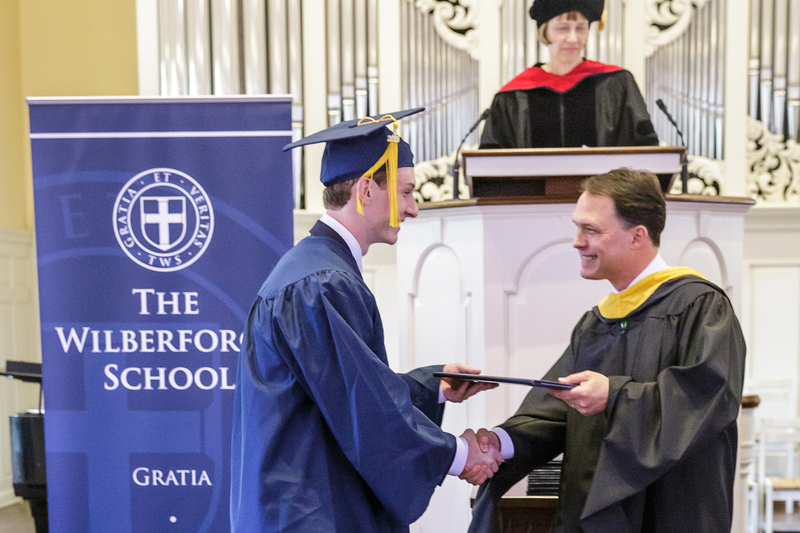 Wilberforce is a community of learners with a unique culture: faculty, students, and parents coming together to pursue growing faith, rigorous scholarship, and deep friendships. At Wilberforce, students are seen and known. 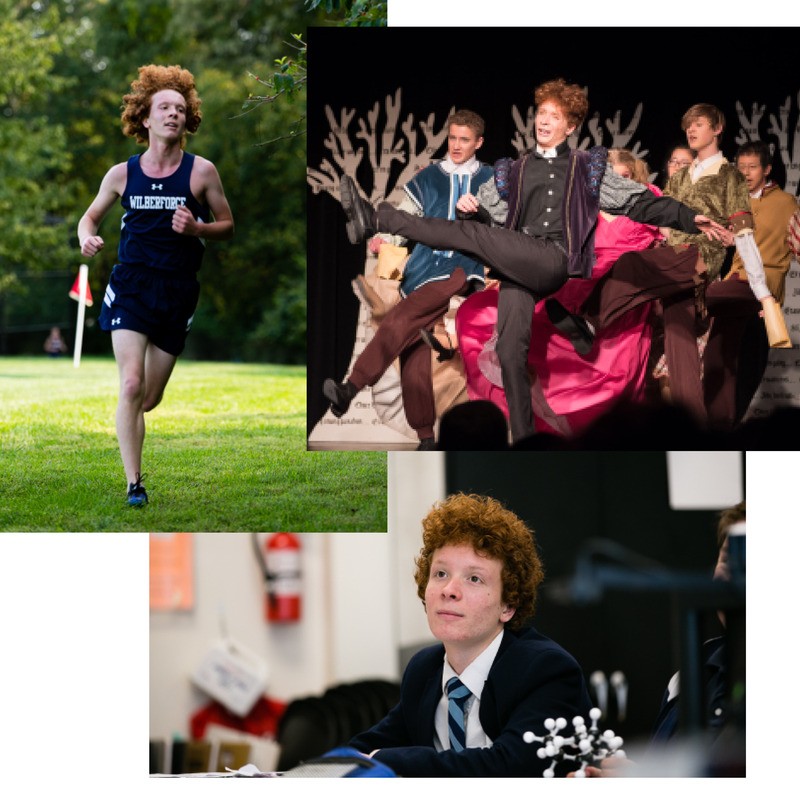 At Wilberforce it is common for a student to be a multi-sport athlete and also have a part in the school musical, or to be on both the debate team and the swim team. Large high schools require students to specialize early. At Wilberforce the same student can participate in sports, the musical, debate, art studio, and a capella group. These are the activities students should be able to try in high school. A smaller school community with an invested faculty calls students up into leadership and initiative. 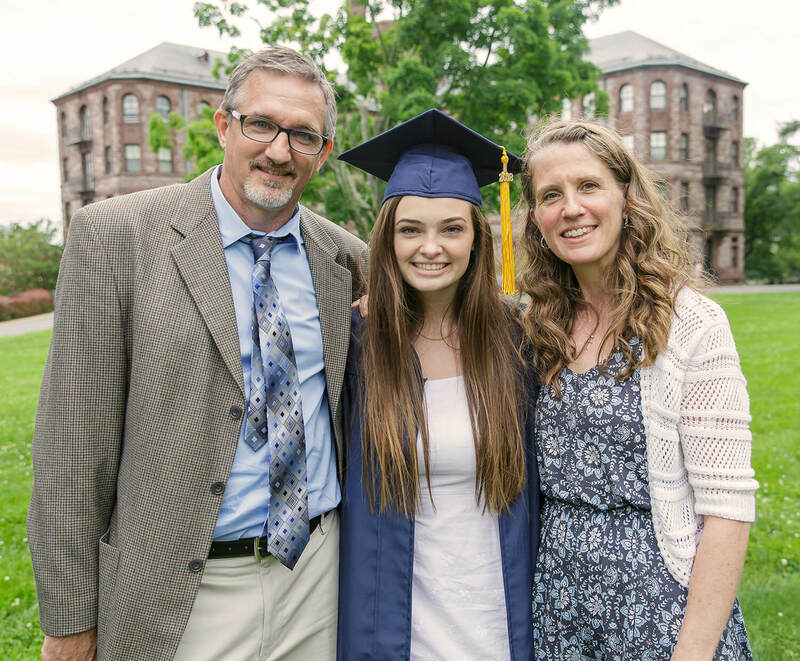 The result is students discovering new talents and passions, which, in turn, enables students to distinguish themselves in the college admissions process and to demonstrate the richness of what they bring to a college campus. 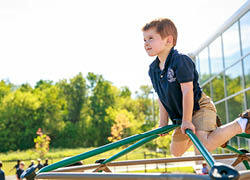 Our students look different to colleges- not only by their academic acumen, but also in their growth as a whole person. This makes all the difference. Being in a school where trying something new is part of the culture helps all students become mature adults who are able to take risks and grow. Informed citizens. Thoughtful leaders. Engaged Christians. How do I know Wilberforce is right for our family? ✓ We desire a school that prioritizes spiritual formation and academic rigor. 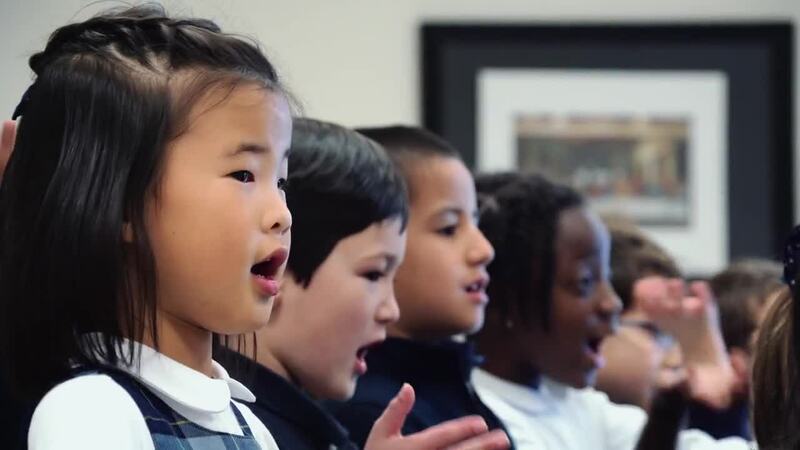 ✓ We want to be part of a school with small class sizes, where every child is seen and known, and where joy and authentic Christian community is a priority. ✓ We seek a place where faculty partner with parents to equip students to be well-trained thinkers, writers, speakers, and leaders. ✓ We want to be in a community where students are able to participate in a broad range of activities, to explore and develop their giftings and to distinguish themselves.